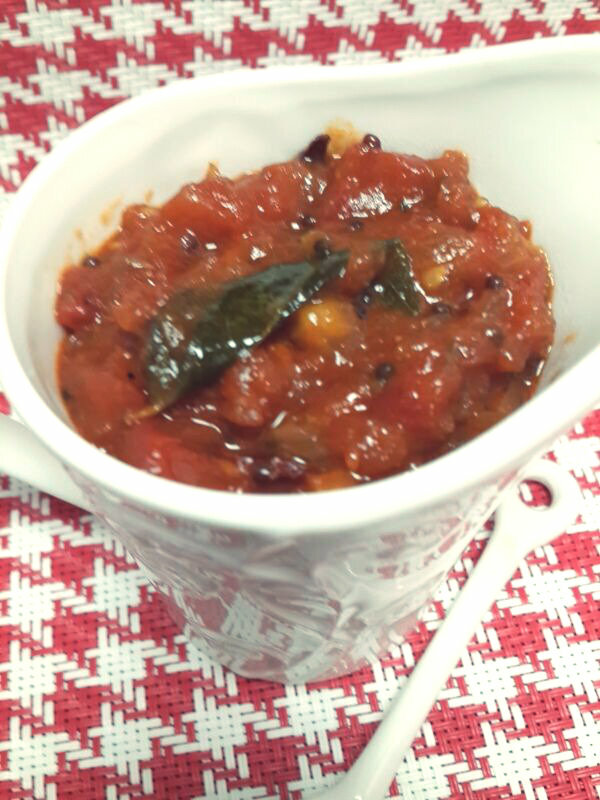 Everyone has a version of a tomato thokku (cooked down relish or chutney). This recipe is a favorite in my household. I was introduced to Tomato Thokku many years back, by my school friend who used to have this almost everyday in her lunch box. I remember the texture for the Thokku her mum made to be slightly runny. I serve this with Idli, Dosa or just plain rice and dal. 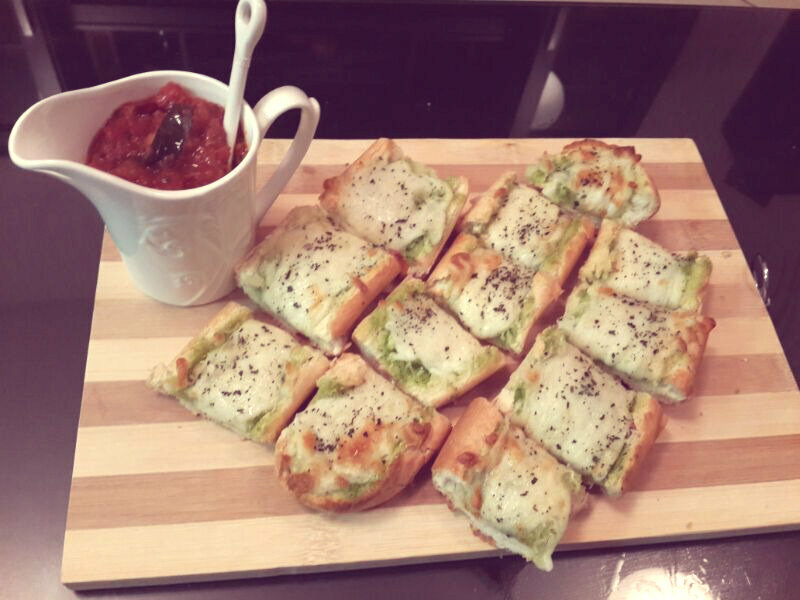 I was even forced to serve this with some Cheese & Herb Garlic Bread. Look! 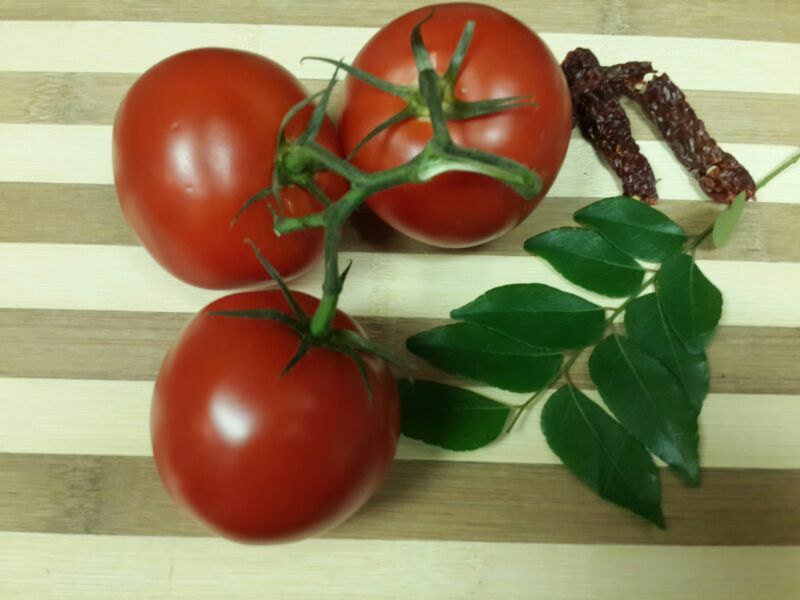 Tomatoes are my favorite ingredient to work with and tomato chutneys with different variations are a staple in my refrigerator, I make them almost on a weekly basis. 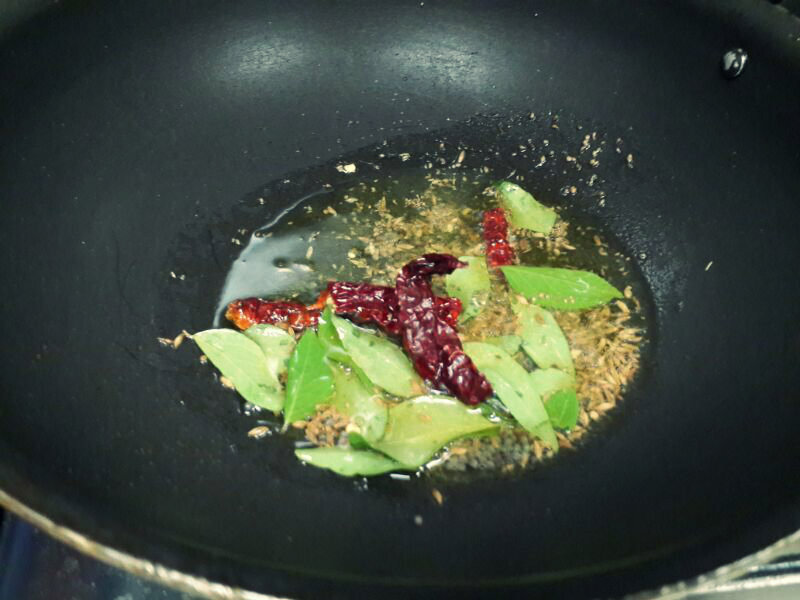 In a thick bottom saucepan or kadai, heat oil on medium heat. Add cumin seeds followed by mustard seeds, let them splutter. Add carrom seeds, curry leaves and dried red chillies broken in half. You can choose to remove the seeds from the chillies if you want the chutney less spicy. Now add red onion, cook them until they are translucent. Add chopped tomatoes and let it cook until the tomatoes are soft and mushy. Now on medium heat, add salt, coriander powder, cayenne pepper powder and brown sugar to the mixture and cook them until there is a ring of oil on the sides of the wok. Add tomato paste to the mixture and cook for another 1-2 minutes. 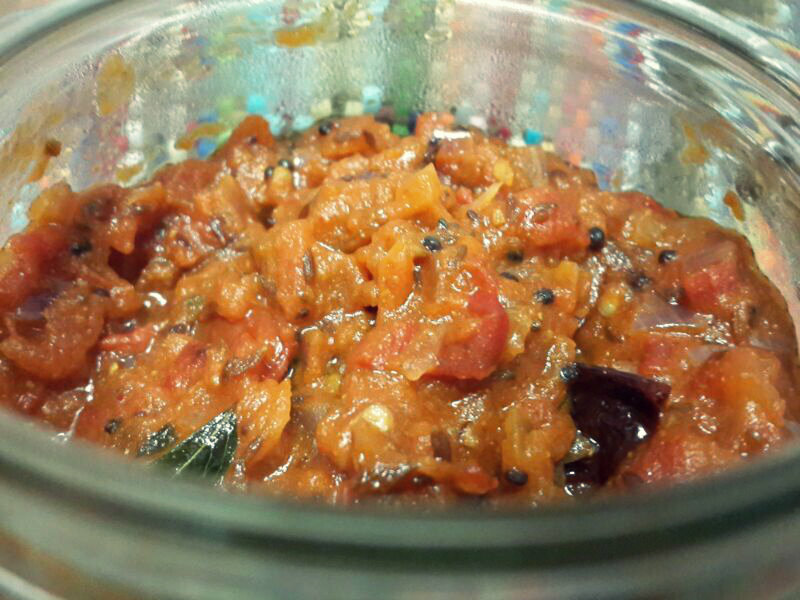 I add tomato paste since I like how it lends good consistency and color to the chutney. Take it off heat and transfer in a clean and dry mason jar. It stays well for 4-5 days if kept refrigerated. I’m gearing up for Diwali next week and you will a lot of posts in the coming days for sweets and savoury items traditionally made to kick start the festivities.